Poodles are proud, active and very smart. There’s the old stereotype of Poodles as a foofy velvet-pillow dogs looking down their long noses at us. Not true. Poodles are eager-to-please, highly trainable “real dogs.” They like to work closely with their humans and can master all kinds of tricks and dog sports. 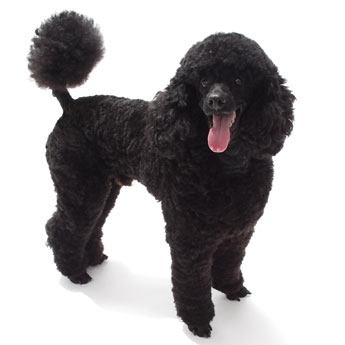 The Standard, with his greater size and strength, is the best athlete of the Poodle family, but all Poodles can be trained with great success. The Miniature can be shy around strangers; the Standard tends to be more outgoing.